President Muhammadu Buhari will be speaking at the 73rd United Nations General Assembly (UNGA) in New York. The 73rd UNGA is scheduled to hold at the United Nations headquarters from September 18, 2018. The Minister of Foreign Affairs, Geoffrey Onyema disclosed this to journalists on Tuesday in Abuja. Mr Onyeama said that the President will use the opportunity to canvass for a permanent seat at the United Nations and a for a Nigerian to emerge as the President of the General Assembly next year. “It is an opportunity for the President to put forward Nigeria’s position globally, the ideas and vision as a global community”, he said. The Foreign Affairs Minister explained that President Buhari is expected to brief the session on a wide range of issues affecting the country. 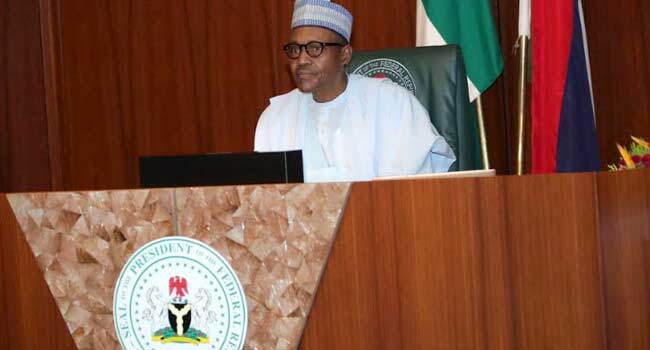 “President Buhari will be addressing areas such as eradication of extreme poverty, maintenance of international peace and security, human rights, highlights on humanitarian activities, tackling climate change and promoting environmental sustainability”, Onyema added. Apart from addressing the General Assembly, the President will also hold a high-level meeting with African Heads of States which will focus on the fight against corruption. The General Assembly is one of the six main organs of the United Nations, with equal representation for member states.